1. Make sure the key is not in the ignition. 3. Open the driver side door and leave it. a. Insert the key in the ignition then twist it to ON position then back to OFF 2 times. 5. Door locks should cycle (lock then unlock) indicating that the system has entered programming mode. If not, wait 40 seconds and return to Step 4. 6. To program new and old remotes, push any button on a remote twice. Door locks should lock cycle or you may hear a chime which means remote has been programmed. a. 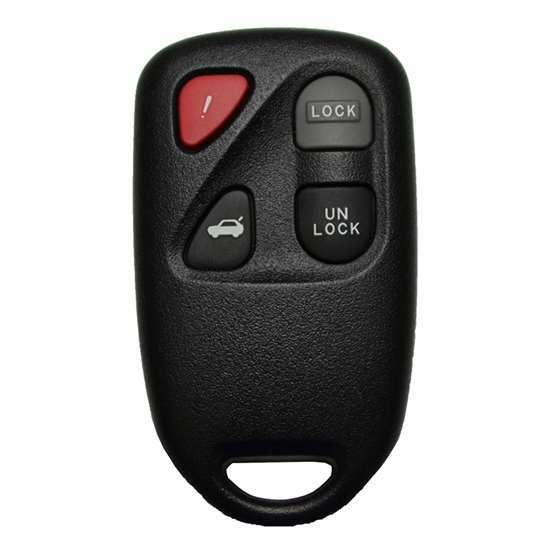 If you're programming 1 remote, press any button on the same remote twice until the door locks cycle or a chime sounds. Repeat this step one last time with the same remote for a total of 3 programmings. b. If you're programming 2 remotes, press any button on the second remote twice until the door locks cycle or a chime sounds. Repeat this step one last time with the second transmitter for a total of three programmings. c. If 3, press any button on the second and third transmitters twice (one after another) until the door locks cycle or a chime for each of the 3 remote. 7. To exit programming mode simply close the driver door then test all remotes. If one or none of them is not working, repeat all steps from the top. 1. If you didn't get into programming mode in step 5 start over from step 1 but do not remove key the in step 4d. 2. If you don’t have the driver door frame button then instead of pressing the button just open and close the door 3 times.